Managed IT Services & Data Center Services for Toronto Businesses | Your Complete Outsourced IT Department! The most robust solution to your complex IT needs. Learn how a HAC can save your business today. Click here to download our Introduction to Virtualization eBook! Protect your data from natural disasters. floods, power surges, and blackouts can't get them. Discover our data center services. Take your email into your own hands. and control by migrating your email in-house. Learn how Excell IT can help migrate your mail server. would your business burn with it? Separate your business's livelihood from that of your building. don't lose your entire business even if everything else goes up in flames. time to move on to greener pastures. increases productivity and reduces your business's vulnerability. Rest easy knowing that your IT infrastructure is proactively maintained to stop problems before they happen. Utilize our in-house Tier 4 data center based in Mississauga for all of your backup, colocation, and hosted solution needs. Replace or complement your IT staff with our Toronto-based 24/7/365 help desk. We're always available to help. Trust our team of IT experts to develop and execute the most practical and comprehensive IT projects for your business. Our in-house team of developers creates powerful custom software, smartphone apps, and SEO-ready websites. Learn more about how Excell IT seamlessly integrates with your business to keep everything running at optimal performance. Thinking about an upcoming IT project? Learn more about the planning and implementation of some of our recent projects and see how they can work for your business! We don't outsource our data center services to 151 Front - we took out the middleman and built our own Tier 4 Data Center. Ensure your business continuity by backing up for data to our Tier 4 data center so that it can be restored in the case of a hardware failure or natural disaster. 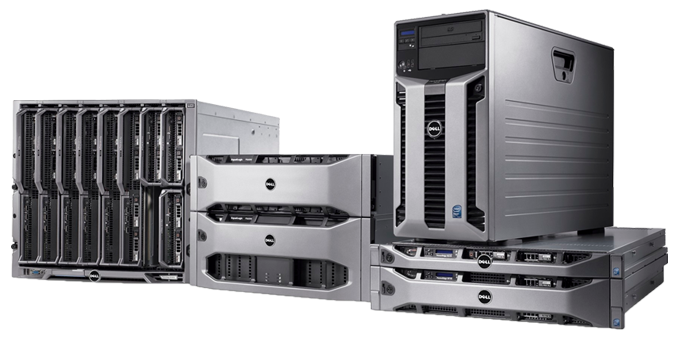 Rent our servers or house your own in our dually-redundant Tier 4 Data Center and stay online with a direct connection to your head office. Cut costs, reduce risks, and increase your flexibility but subscribing to our Hosted Exchange Email services, Hosted SharePoint services, or make your mark online by hosting your website on our servers. Harness the power of a dedicated low latency, secure fibre link directly from our Tier 4 data center to your company headquarters.